The Hatteras 60 is an elegant, spacious and fast yacht that was built to follow your command with obedience every time you want to enjoy the relaxing company of the open sea. The yacht weighs 87,000 Lbs and is propelled by win CAT C18A Diesel Engines (1,000 BHP / 745.7 KW) engines which are fueled by a 1,000 Gallons tank. 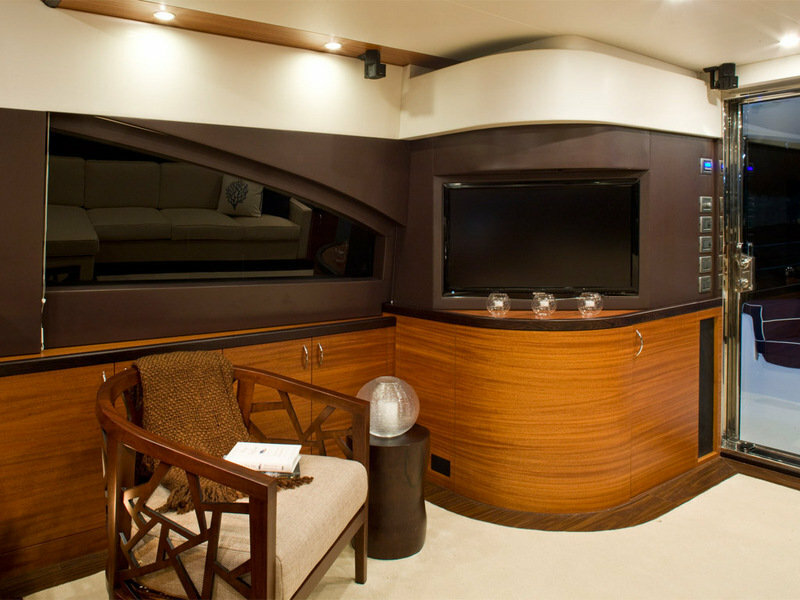 As far as useable space is concerned, the 60 Motor Yacht comes with a wide-open salon/galley living area and a three-stateroom, two-head arrangement that includes a 130-square-foot full-beam master stateroom amidship, a VIP stateroom forward, and guest bunks to port. The Hatteras 60 Moor Yach is position as an entry level model in the company’s lineup and is priced at a relatively affordable $2,430,000. 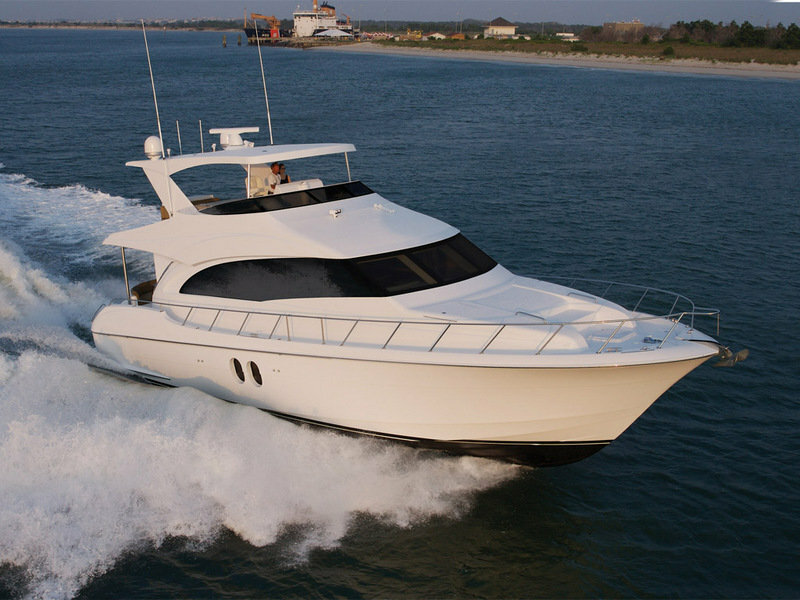 Hit the jump for more information on the Hatteras 60 Motor Yacht. Hatteras Yachts is pleased to present the 60 Motor Yacht, a yacht that incorporates original design concepts, a spacious interior and intuitive features that make this an ideal boat for the owner-operator. The 60 Motor Yacht features a wide-open salon/galley living area and a three-stateroom, two-head arrangement that includes a 130-square-foot full-beam master stateroom amidship, a VIP stateroom forward, and guest bunks to port. 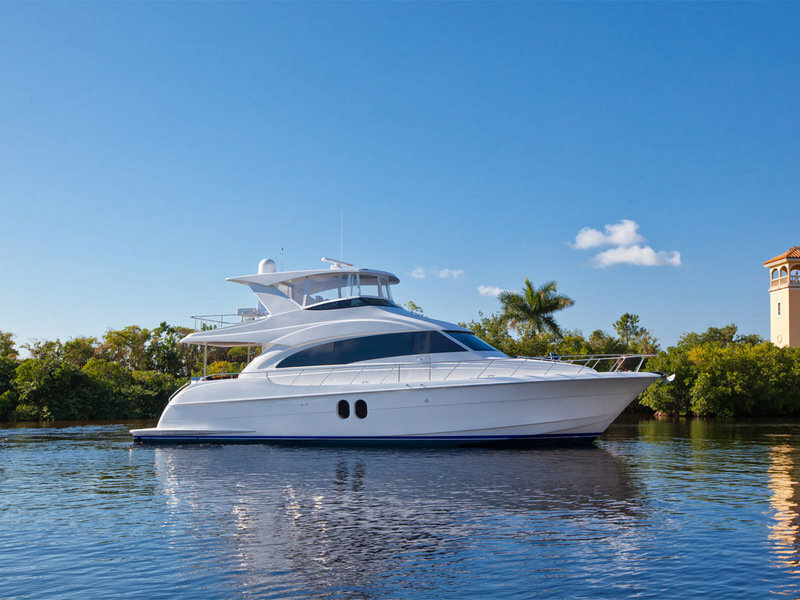 Priced competitively in the marketplace, the 60 Motor Yacht represents an entry-level product for the thousands of boat owners who aspire to own a Hatteras.